Crash of USS Shenandoah. Wreckage of the US Shenandoah's bow section on a farm soon after it crashed in Ohio, USA, on 3rd September 1925. Shenandoah was launched on 10th August 1923 and was the first of four US Navy rigid airships. In October 1924 it made the first crossing of North America by airship. However, in 1925 Shenandoah was torn apart while passing through an area of thunderstorms and turbulence over Ohio during its 57th flight. Fourteen crew members were killed. 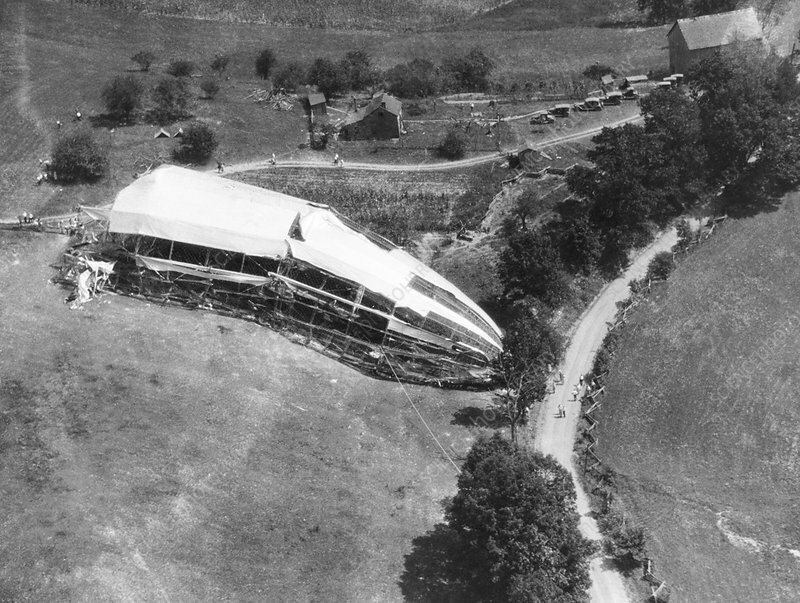 There were 29 survivors, who managed to ride three sections of the airship to the ground.